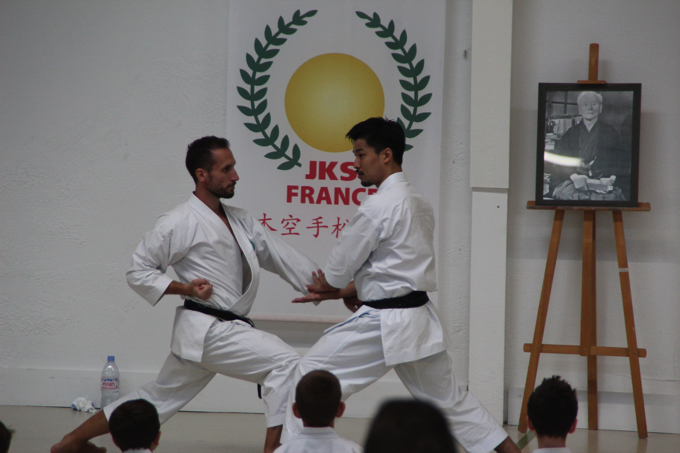 Technical seminar by Arimoto sensei was held in JKS France from October 17th to 22nd. For Arimoto Senseï’s first seminar in France, we wanted to take him around the region, in all the different dojos of our partners. At every course, the participants were delighted with Arimoto Sensei’s great teaching as well as his listening. Misaki Egashira, the Japanese vice consul, attended the course in Peronnas. We are very proud of being part of this incredible JKS family, which allows us to get closer to the greatest experts in the world. Arimoto Senseï is one of them, and we hope that this experience with JKS France Sud was the first of many.